Profites d'une offre exceptionnelle pour la St-Valentin. Un game #GRATUIT pour ton/ta partenaire samedi prochain! 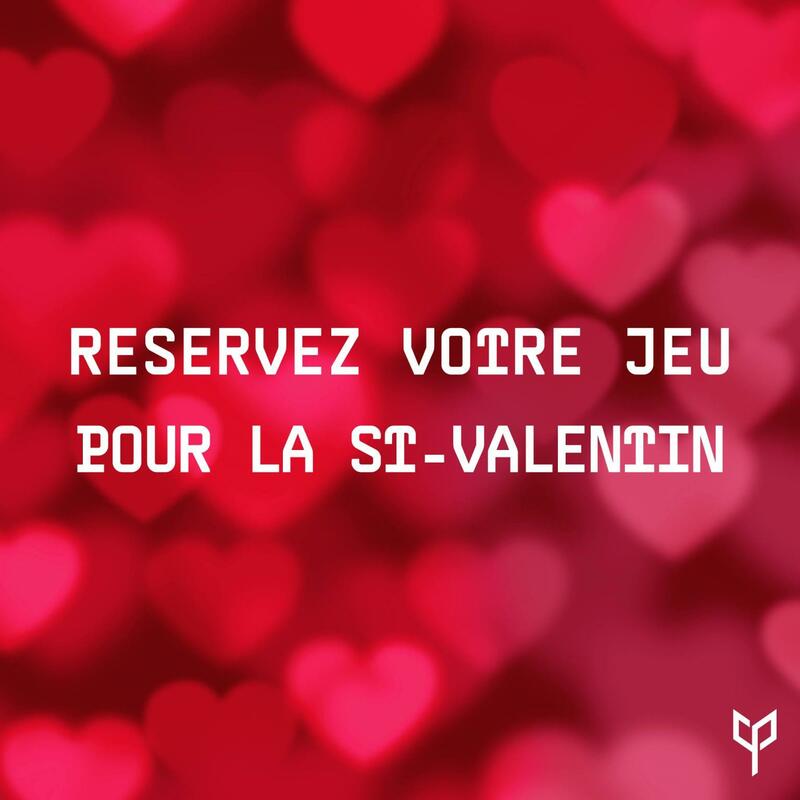 SPECIAL OFFER VALENTINE'S DAY If you reserve a game on your profile #CobaltProject next Saturday, your partner can play for free. He/she just needs to come with you.